Losing a family member or a cherished person in your life is a stressful time that can exacerbate the heartache of dealing with the loss. We all want their services to be celebrations of their lives and to have all the necessary parts of the program in place to create a beautiful and moving memorial. Along with informing all your friends and family of the details of the service, you’ll need to have the programs printed that help tell the story of your loved one’s life and the order for the program in the service. Not only do they help with healing, but they are also important for family history and archives. Here’s what you’ll need to do when printing funeral programs. There is a basic list of points that your funeral program will cover. It provides the full name of the decent, their dates of birth and death, and the event details for the funeral, including the location, time, and date. These details are usually listed on the front cover of the program and may also include the name of the officiant and the place of interment. On the back cover, you’ll usually see the names of the pallbearers and the name and information of the funeral home that has handled all the arrangements. 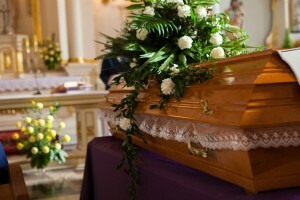 Depending on the length of the service and the size of the funeral programs that you order, details about the decedent’s life are usually listed on the inside in the obituary. Many people also include photos with family members or enjoying their favorite activities. It also includes the names of everyone who will participate in the service and what they did, including the person who delivered the eulogy, singers, and other people who may have read poetry or shared words of comfort. A personal touch is always appreciated, to elevate it from an ordinary template that could apply to just about anyone. Most funeral programs usually have a tri-fold format while others only fold open to two pages inside. The cover should emphasize a photo of the decedent on a background that may feature a nature scene, a sunset, or religious symbols that were important to the departed. This entry was posted on Friday, June 22nd, 2018 at 11:57 am	and is filed under Funeral Printing. You can follow any responses to this entry through the RSS 2.0 feed. Both comments and pings are currently closed.